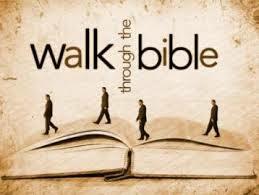 We have to be very honest with ourselves, there can be times were we just don’t feel like reading our bible at all. It may not be the case for all, but I will admit there have been many a times were I felt like skipping sections of the bible i.e. the genealogical records of the tribes of Israel. But the truth of the matter is EVERY SINGLE word of the bible is relevant and carries great meaning. Matthew 24:35 says that ‘Heaven and earth will pass away, but my words will never pass away’. God’s words are eternal so we must desire to have a love and an understanding of His word. But please bear in mind NOBODY has complete understanding of the whole bible, or holds the monopoly of truths as we are not God. Here are just some few suggestions which have helped me enhance my bible reading over the past years. They are in no way commands, but just tips which I feel can really help others who struggle to read the bible. Life gets very crowded very quickly, but it is so important for us to put God first in our schedules (Matthew 6:33). When choosing a time to read your bible, ensure that it is a time when you know you are least likely to be distracted and tired. Choose a place which you find comfortable and are less likely to be disturbed. It’s all too easy for us to lose a thought when someone is making loud noises in the background or tries having a full on conversation with you. This in essence helps produce an environment which is conducive for meditating on God’s word. Avoid reading your bible like a story book you were forced to read, neither should you turn reading your bible into a religious routine. Read your bible with the belief that you are going to receive something from God’s word, for example revelation, encouragement or conviction. Make sure your heart and mindset is right, ask the Holy Spirit to give you understanding, and pray that God will speak to you through His word. Pair up with a fellow Christian, preferably someone who you communicate frequently with, so that you can both encourage one another to read the bible. This can then lead to you sharing and discussing passages which have ministered to you, so you form a mini bible study of some sort. It is all so easy for us to read the bible like it is a story book, without actually understanding what we read. Joining a bible study group (not just any old group, but join a bible believing Spirit filled group.) also provides us with people who we are accountable to. Bible groups help us study and meditate on God’s word and can help deepen our understanding of the bible. We also make new friends and meet people who can strengthen and encourage us. It is important that we have people to strengthen us as Proverbs 27:17 says Just as iron sharpens iron, a person sharpens the character of his friend. The bible reading plan is simply a bible which is designed to help you read the whole bible within one year. Personally what I love about it, is that your daily reading is made up of scriptures from the old and new testament, along with verses from Proverbs and Psalms. I just love the fact that I get to have a balanced diet when I’m reading Gods word. It is also a great way for you to keep yourself disciplined. On a final note, I do understand that there are some Christians out there who cannot read or do not have access to the bible, but God knows their heart. I believe that the Spirit of God will meet them at the point of their needs and will nourish their spirit accordingly. For those who have trouble reading, there are bible apps which provide you with the audio version of the bible, which is great. Thank God for the advancement in technology ey. The most important thing is that you start from somewhere, you can start by reading a few verses a day, and God will truly honour that. I promise you once you start reading and meditating on God’s word you will see a great improvement in your Christian walk of life! God bless all you ladies remember Jesus LOVES YOU.